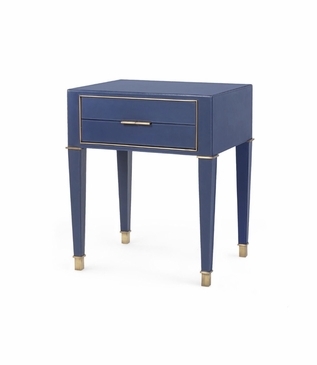 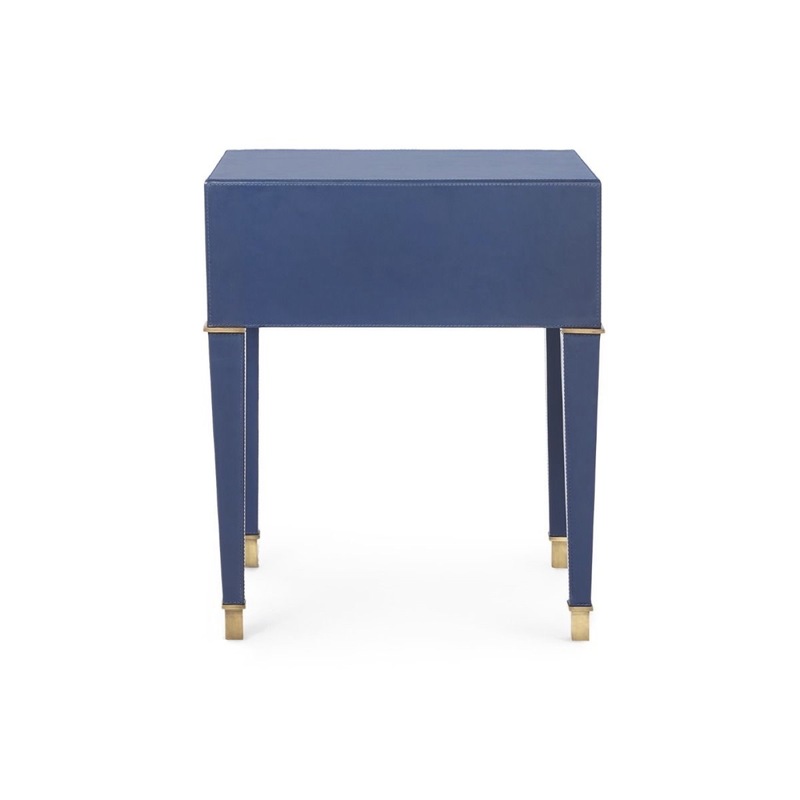 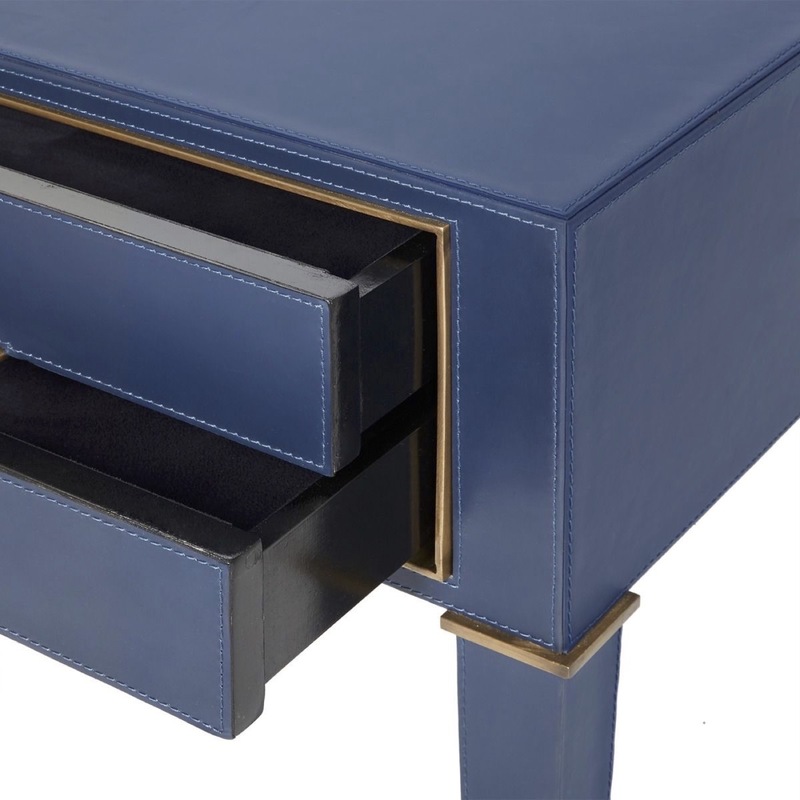 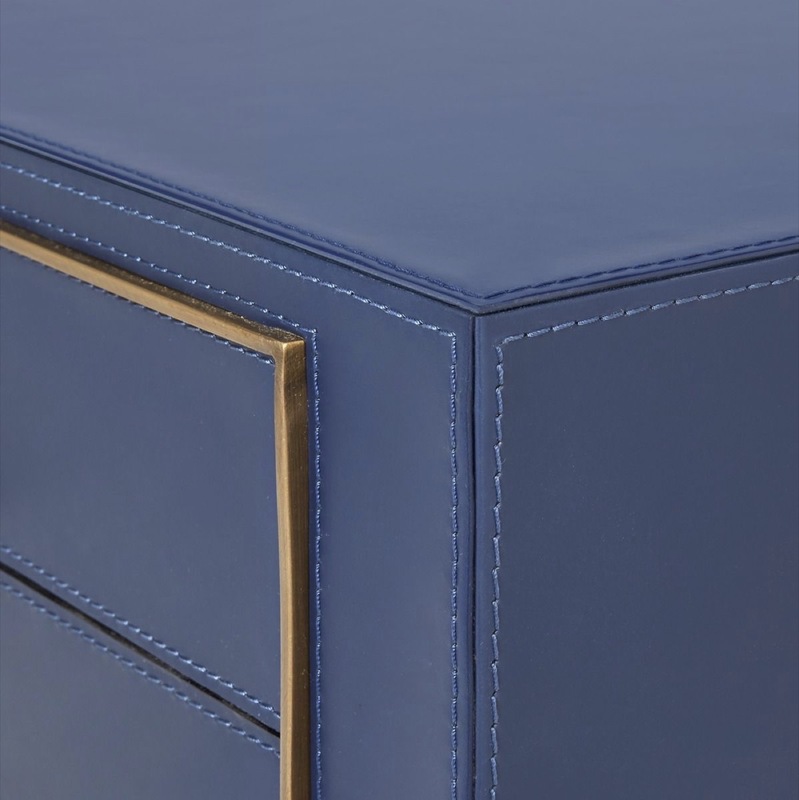 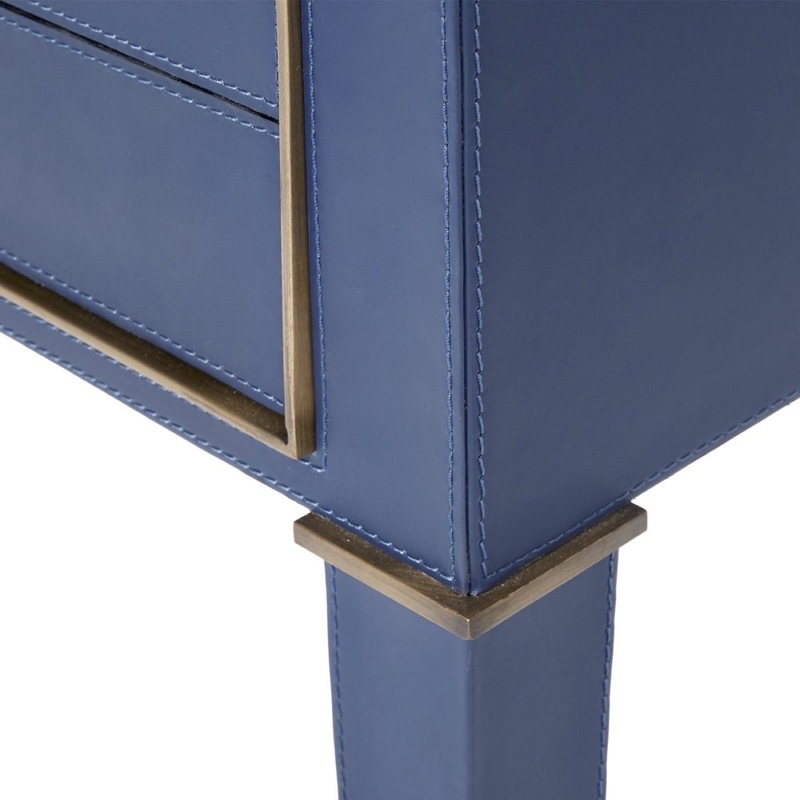 Inspired from a neo-classical design, this elegant side table is crafted of fine dark blue leather and features beautiful stitching detail and antiqued brass fixtures and hardware. 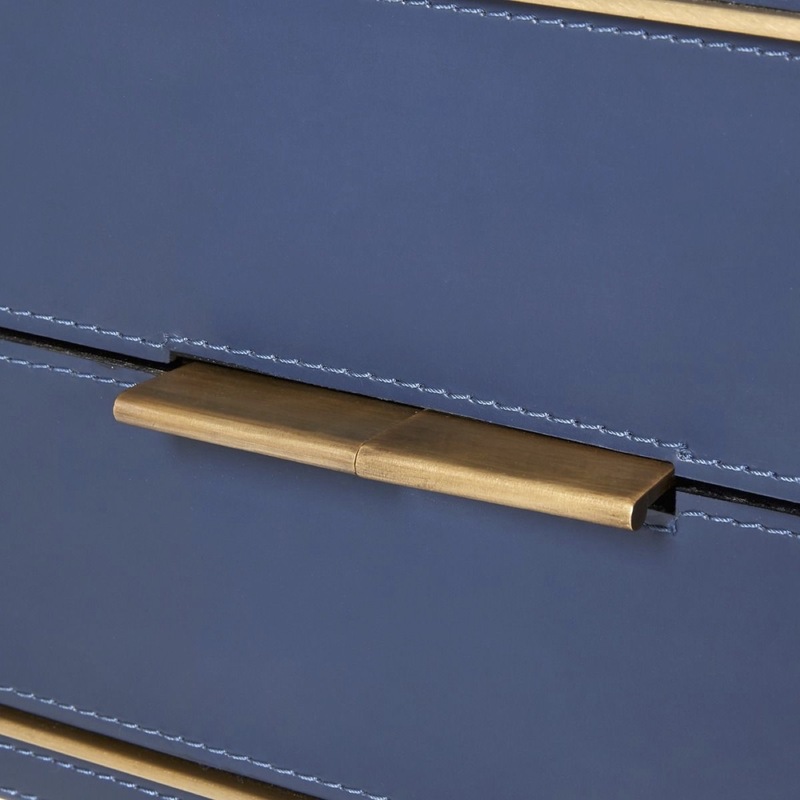 Its two drawers offer practical storage with luxe microsuede interiors and soft-closing glides. 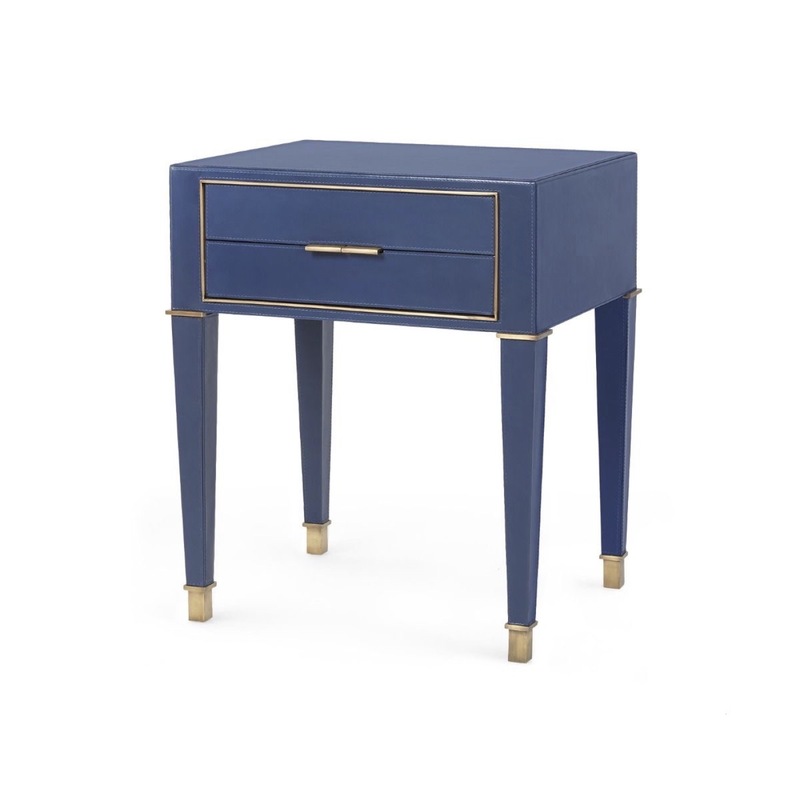 Size: H: 25.5" • L: 20" • W: 16"